cleaning. Our professionals work with clients each day to provide a variety of products and services that make your home or office shine. We service Oklahoma and Cleveland counties. Randy and Erika Herman are the owners of a Chem–Dry franchise in Oklahoma City. The two met while attending the 2002 Chem–Dry Convention in the Cayman Islands. Randy and Erika now share their lives together while continuing to provide quality service to their clients. One of the most important goals for Randy and Erika is to provide customers with the best cleaning with the best systems and the best employees in the cleaning industry. 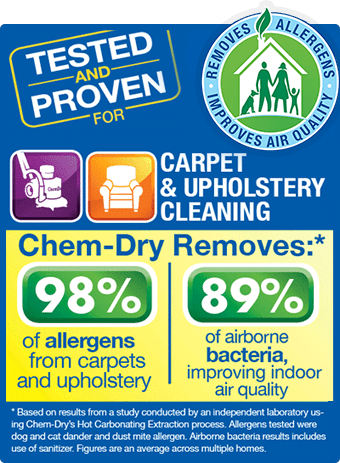 Cornerstone Chem-Dry is committed to quality service before and after each service. For more information on our products and services, please continue to browse out site. You are also welcome to contact us anytime at (972) 690-7272. 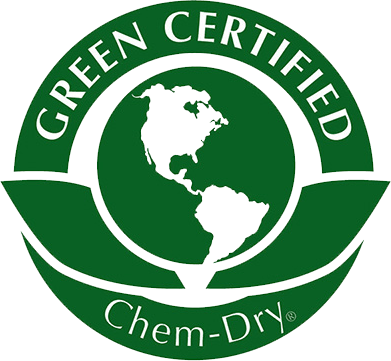 At Chem-Dry, we promise to meet the highest standards in the industry by delivering a quality product at the best value. Our products will be expertly applied and our services will be delivered by trustworthy, friendly professionals. We develop customers for life because we deliver our services the right way with personal respect for the customer, a disciplined process and exceptional service. We stand behind our work. We follow up every job we complete. if there is any additional information you would like or if you have any questions or concerns.